CryptoXchange, an ambitious new cryptocurrency exchange service provider, is soon to announce their anticipated ICO. An increasing number of people have become interested in crypto trading and see the massive opportunities the sphere has to offer. Unfortunately, enthusiastic beginners or those looking to expand their portfolio with altcoins often have a lot of difficulties. Alienation, confusion or frustration with overloaded exchange websites are putting many people off, who could be helping to stabilize and improve blockchain and crypto services. CryptoXchange was created as a natural reaction to what is happening within the crypto market and FinTech industry. 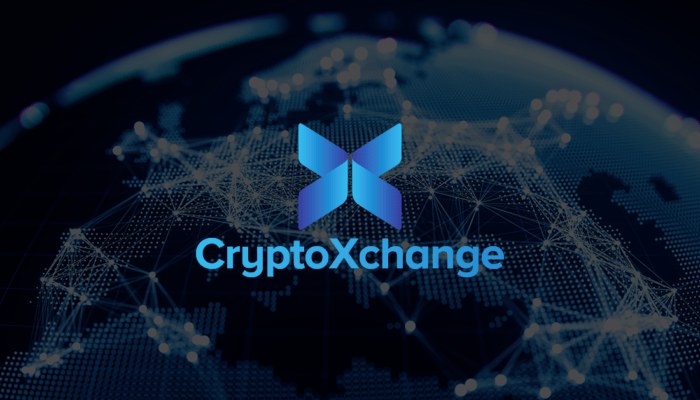 “The primary idea behind CryptoXchange was to ensure user-friendliness for all, not just native English speakers, and access to a vast range of functions for crypto traders, without compromising on usability. Poor support, overly complicated trading processes, single language platforms — all this is a thing of the past,” – states Roni Baibochaev, the founder & CEO of CryptoXchange. CryptoXchange has created a modular platform with equal opportunities for every user, regardless of their level of “tech savviness”. Within CryptoXchange is a beginner, as well as advanced version. For beginners, they can start trading with a clear layout and round the clock support, while professionals can take advantage of advanced analytical tools. The final goal of CryptoXchange is to provide users with over 100 of the top cryptocurrencies on a daily basis. To achieve this, they offer live chat, first-class 24/7 phone support in more than 15 world languages, rapid KYC, which is approved within 24 hours and will introduce its own debit card for crypto payments. The project works closely with top-flight law firms and experts from Malta, Vienna, Dubai, and Switzerland. Long KYC processes, slow trading times, and high fees are a thing of the past, with a flat fee of just 0.2% on all transactions. The primary advantage CryptoXchange has over other exchange projects is that the user can get up to 30% profit share, distributed to users who hold EARN coins, (which pay for processes undergone on the exchange). The other benefit to CryptoXchange asset holders comes in the form of a buyback program, which involves using profits to buy unsold EARN coins, increasing scarcity and pushing up the price. With users getting benefits simply from holding their coins, they are likely to become an integral, stable part of the long-term success of the platform and company. The buyback and profit sharing models are achieved with the help of the XCHGE utility token and EARN coin, of which the XCHGE will be listed on other major trading platforms. It can also be bought directly by participating in the CryptoXchange ICO. The CryptoXchange team are working towards an independent platform, that’s success is not dictated by market fluctuation. Will they succeed? That remains to be seen. At the very least, Roni Baibochaev, his able technicians, and advisors led by Marc Schippke are sure of it.